A leading mobile vehicle lift company in the West Midlands is putting health and safety firmly on the agenda with the launch of its new online training solution. Bosses at TotalKare HDWS Ltd, of Chancel Way, Halesowen, are hoping the firm's brand new online training solution will help ensure those using its mobile vehicle lifts do so in a competent and ultimately safe manner. 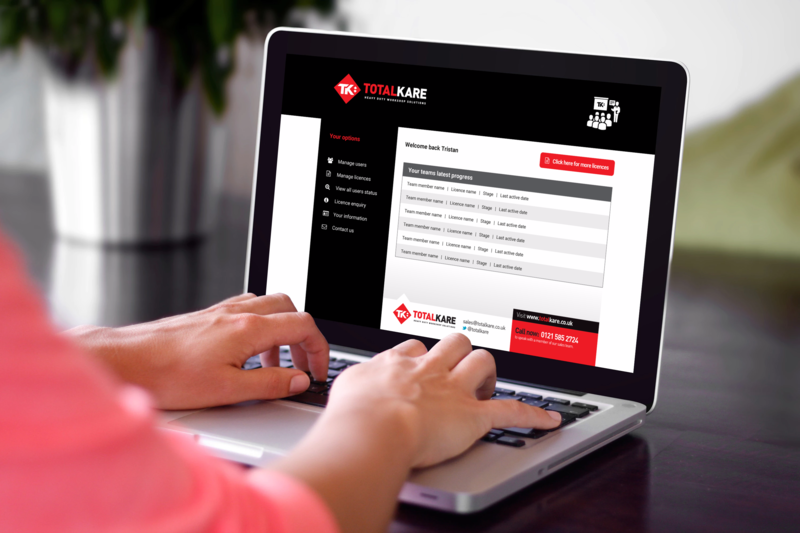 The online training solution follows the successful launch of TotalKare's CPD-approved training course in mobile vehicle lift competency, and allows customers to fully manage and report on the training of staff in this area of competence via an online platform. Through this platform, customers can easily identify that staff have been trained in accordance with health and safety legislation and safe working practices. It also provides full reportability on all employees' progress at each stage of the training process. The mobile vehicle lift competency courses cover such key subjects as the safe operation of equipment, pre-use checks, and the very latest updates on such legislation as the Provision and Use of Work Equipment Regulations 1998 (PUWER) and the Lifting Operations and Lifting Equipment Regulations 1998 (LOLER). While the course content is relevant to any mobile column lifts, the functionality section relates specifically to TotalKare's lifting equipment and thus can be tailored specifically to the model(s) of lift the customer has on site. The introduction of the online training course provides a solution for companies where engineers' time on the shop floor is at a premium while training remains an important requirement. Online training of mobile vehicle lift competency can be delivered at a convenient time, minimising disruption to the workplace while engineers attend. "As most will be aware, the Health and Safety at Work Act 1974 requires employers to provide whatever information, instruction, training and supervision as is necessary to ensure, so far as is reasonably practicable, the health and safety at work of employees," said Tim Jackson, Managing Director of TotalKare, "We take safety very seriously at TotalKare and build a number of failsafe measures into our mobile vehicle lifts as standard in order to safeguard the operator. However, we've seen recent examples in the industry of improper practice leading to injury and hefty fines from the HSE. "As the UK's foremost provider of heavy duty workshop solutions, TotalKare is leading the way in this area through the creation of these training courses, ultimately designed to help people work smarter, more effectively and return home safely each day." For further information, please contact TotalKare on0121 585 2724 or visit the websitehttp://www.totalkare.co.uk/. Caption: TotalKare's online training platform.